Woodhill Mountain Bike Park - New Rider? No worries! We'll hook you up with some 'L plates', and all the gears so you can hit the trails! 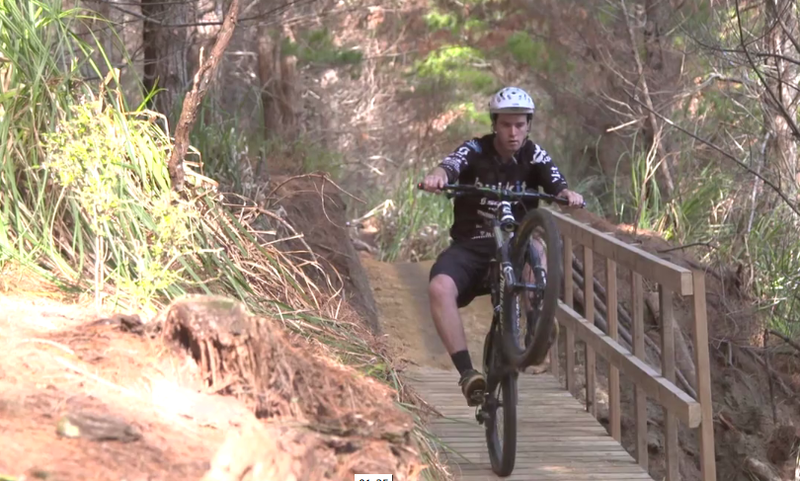 Mountain biking is one of NZ's fastest growing pastimes. It appeals to people from all walks of life. Whether you're after some time out from the city with family and friends or wanting to push the boundaries of insanity, this sport offers both and everything in between. And the best part is this... you can kill two birds with one stone, exercise and have fun! Our park provides the perfect introduction to mountain biking with lots of easy and scenic trails that you can take at your own pace. The rolling terrain allows us to create trails suitable for those who wish to cut their teeth or simply enjoy a relaxing ride in the forest with friends and family. Woodhill is unmatched as far as catering for new riders, but don't be fooled - once you get your confidence up, the sky's the limit! The park offers HEAPS of intermediate to advanced riding and is stacked with jumps and obstacles of all levels. And now with the Airfield Jump Centre up and crankin - it's back flips on! What about the kids? Can they ride? You bet! The park has become a favoured destination for families all over Auckland. What better way to spend a day out with the family?